The Kay Bojesen Lovebirds have arrived, sporting beautiful and intense midnight black colour. The respectively shiny and matte lovebirds symbolise love, since they are known in the wild for their life long companionship with their mate. 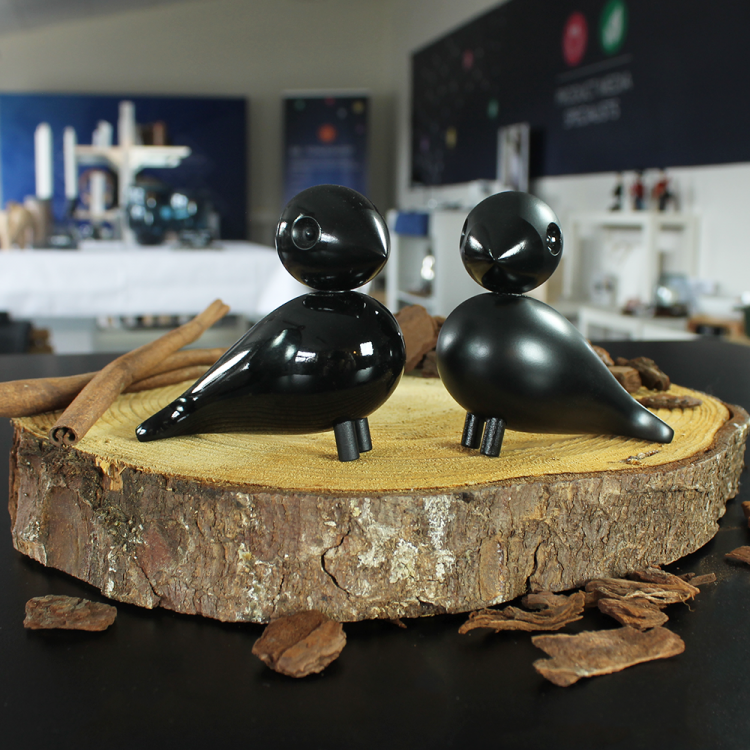 Lovebirds are an obvious gift for those celebrating love, but are also great for collectors and those with a fondness for Danish design history. 9 cm tall.